Digital Edition also available on the publisher’s website. Recharge your small group leadership! Powerful small group leaders share a common trait: a passionate heart for God. They know their priorities and know that time with Him is always at the top of the list. Each has a heart of brokenness before God … people … a heart that longs to worship and pray … a heart that pours out love to others! Do your leaders attract others? 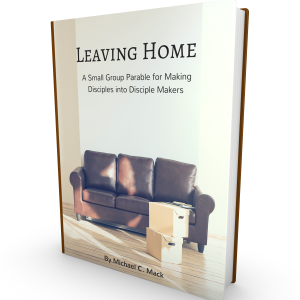 Is their small group ministry central to their lives? This book will renew their hearts, refocus their priorities and recharge their ministry. If you have a sense that your leaders are tired of ministry or frustrated with people, this new title will help! And, if your leaders have great attitudes and you want to help them move to the next level, this book will move them into new fields, white for harvest!